Manchester United defender Phil Jones has signed a new contract extension at the club until June 2023. The 26-year-old’s contract was set to run out in the summer, and the new deal has the option to extend by a further 12 months once the four-and-a-half years are up. “I am delighted to have signed a new contract. Manchester United has been a big part of my life for eight years and I love everything about this club,” Jones told the club’s website. Jones has made 11 Premier League appearances this season. He has been at the club since 2011, having joined from Blackburn Rovers. He has won the Premier League, FA Cup and Europa League at Old Trafford, and has made 27 appearances for England. 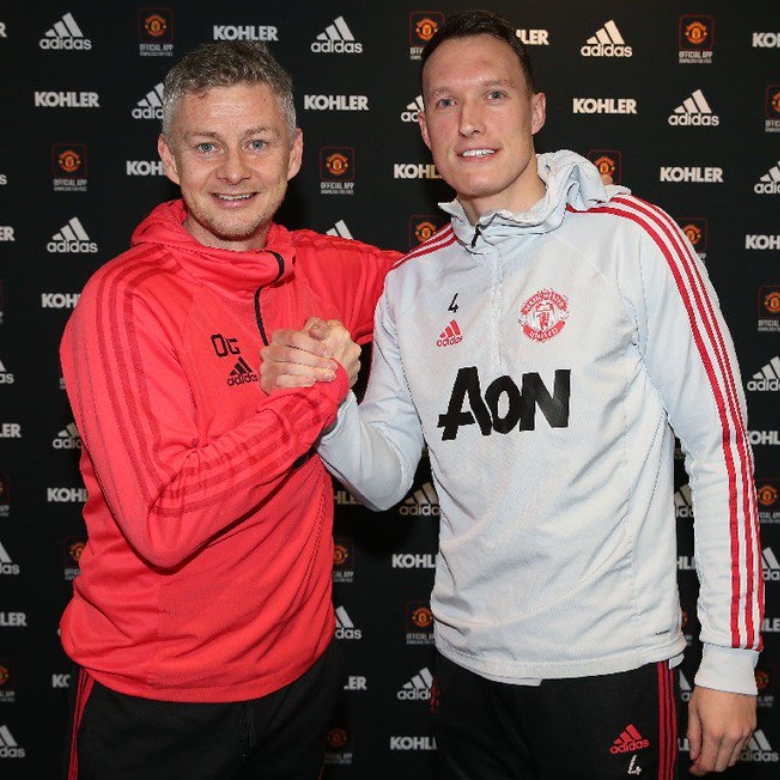 Manchester United interim manager Ole Gunnar Solskjaer was also delighted at Jones extending his deal at the club. “Phil knows what it takes to be a Manchester United player, he has won the Premier League, FA Cup, and Europa League and is now one of the senior players within the team,” Solskjaer told the club’s website.